What's a young wizard to do when he must spend the summer with distasteful relatives and refrain from practicing magic? Thirteen-year-old Harry Potter puts up with this situation until Aunt Marge so annoys him that he violates a code of ethics by using his magic on her. Instead of being punished, Harry is allowed to finish out his holiday at the Leaky Cauldron Inn, a thoroughly enjoyable experience. But as Harry's third year at Hogwarts school of Witchcraft and Wizardry begins, things turn serious when Sirius Black, the man who killed Harry's parents and has it in for Harry, too, escapes from Azkaban Prison. While trying to find out why Sirius murdered his parents, the young hero learns more about his own past and actually "hears" the end of his mothers life. 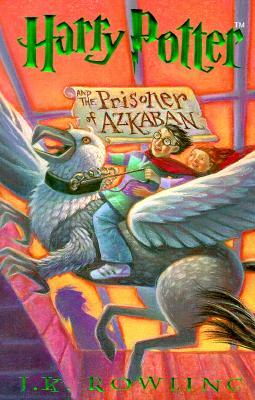 In this third book of the Harry Potter series, Harry Hangs out with his friends Ron and Hermione, meets the "Hippogriffs" and "Dementors," and continues to make readers care very much about his fate.